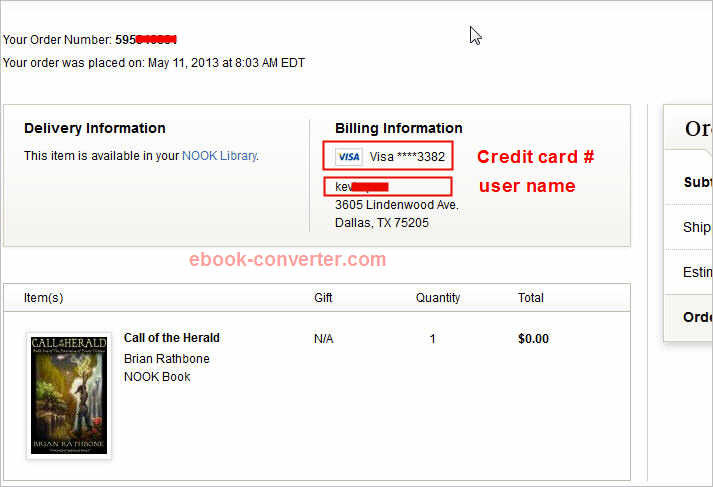 B&N ebook was encrypted by credit card and user, user must input correct info to remove NOOK ebook DRM, this is way to find your correct information in your B&N account. 3. 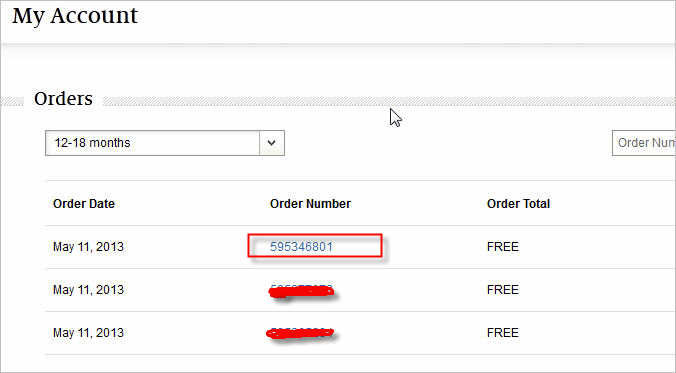 In order detail page, you find credit card # and user name, try those info in converter to remove ebook drm . User Name: This is the name used by Barnes and Noble to generate your encryption key. Seemingly at random, Barnes and Noble choose one of three places from which to take this name.
. Most commonly, it’s your name as set in your Barnes Noble account, My Account page, directly under PERSONAL INFORMATION. Sometimes it’s the name listed for the active credit card. you need to delete downloaded ebook files in NOOK for PC, re-download them again, then input new cc to remove drm.